Get Your Discounted Early Enlistment Papers for Unlimited Access to Exclusive Content, Featuring the Bubba the Love Sponge ShowÂ®, as Well as Commercial Free CD Quality Music on Radioio and Radioio LiveÂ® for 3 Years by Signing up Now!! TAMPA, Fla.â€“(BUSINESS WIRE)â€“IO World Media (â€œIOWorldâ€ or â€œthe Companyâ€) (Pink Sheets: IWDM) announces the Bubba Army RadioÂ® Early Enlistment Program on Radioio LiveÂ® starting February 1st and ending February 28th 2011. 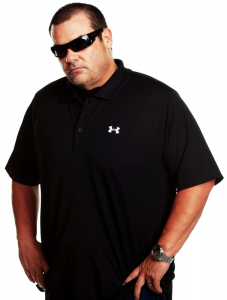 During this period, for the early enlistment price of $299.99 (regular retail price of $467.64), Bubba Army RadioÂ® listeners will receive a 3 year subscription for the Bubba Army Two Star package, which will allow for unlimited access to the new, exclusive, uncensored Bubba 2 channel on Radioio Live as well as access to all on demand and download services (as soon as available) for all of the current and former years of archived content from Bubba and his crew. The Early Enlistment Program also provides unlimited access to all other available music programing COMMERCIAL FREE in CD quality on Radioio including the Audiophile Channels. By signing up during this period you will also receive your uniquely numbered, commemorative Early Enlistment Papers which will entitle you to numerous unique opportunities with the Bubba Army and Radioio LiveÂ® in the future. Various other levels of both monthly and annual subscription packages to Radioio and Radioio LiveÂ® programing are also available at www.radioio.com. Certain statements in this release could constitute â€œforward-looking statementsâ€ within the meaning of the Private Securities Litigation Reform Act of 1995. Such forward-looking statements involve known and unknown risks, uncertainties and other factors which may cause the actual results performance or achievements of the company to be materially different from any future results, performance or achievements expressed or implied by such forward-looking statements. Except as otherwise stated in this news announcement, IO World Media, Inc. does not undertake any obligation to publicly update or revise any forward-looking statements because of new information or future events.